At Sapphire Dental Centre, we offer comprehensive treatments in all aspects of general dentistry, implant dentistry, as well as orthodontics. In addition to high-end dental equipment and high-quality materials, all services are provided in a comfortable, safe, and stress free environment. New patients are always welcome. welcome. Scientifically proven to enhance concentration and increase strength and speed, UnderArmour™ Performance Mouthwear can help you improve in your favorite sport—from baseball to golf to hockey. Gone are the days when tooth trauma and cavities could only be treated with unsightly metal fillings. Choose Dental Bonding and get rid of uneven teeth in 60 minutes. If you are missing teeth and having trouble speaking or chewing, or are noticing strain when biting, bridges may be the ideal procedure to help make your mouth healthy and beautiful again. Sometimes referred to as “dental caps,” Sapphire uses crowns to improve the appearance and health of your smile. 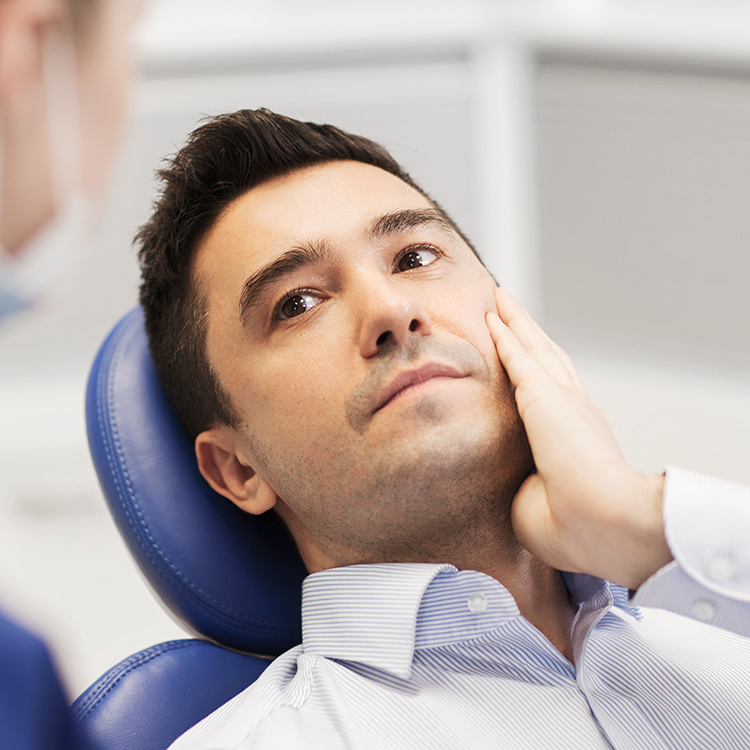 Extractions become a necessity for impacted wisdom teeth, which can cause discomfort, inflammation, infection, and even decay as they come into the mouth and push against other teeth. If you haven’t had access to the proper dental care for years—or for a lifetime—you may be suffering from worn, discolored, missing, chipped or otherwise broken teeth. A healthy mouth and beautiful smile require routine general and preventative care to stay that way. If you’ve suffered from crooked teeth for long enough, but are put off by the thought of wearing traditional metal braces, consider Invisalign. If you suffer from tension or migraine headaches, we may have a way to help reduce the frequency and intensity of your headaches: Stabilization splints. We can help you with all of your orthopedics and orthodontics needs. Porcelain inlays and onlays are a very aesthetic alternatives to composite fillings. high degree of strength, excellent for restoring weak back teeth. An excellent alternative to crowns, porcelain veneers can perfect your smile by masking stains, hiding chips, correcting misalignment, and creating uniformity. In the centre of each tooth in our mouth is dental pulp, which supplies our tooth with nutrients and nerves. Sedation dentistry or “sleep dentistry” which is performed under general anesthesia. If you want a whiter, more beautiful smile but are suffering from stained teeth caused by everything from tea and coffee to soft drinks and tobacco, you’ll be happy to know that we can help. At our dental clinic in Milton, we offer advanced methods and technologies with which we aid the whitening of your teeth. Our cosmetic services include laser teeth whitening, dental bonding, orthodontics, dental implants and porcelain veneers. Suffering from the common problem of Tempromandibular Joint pain or Tempromandibular Dysfunction? We can help. At Sapphire Dental Centre in Milton, we offer our patients a free Consultation. You can book an appointment easily from here. Your smile matters to us, so your first oral health consultation at our clinic is completely free of charge. We work passionately towards creating the most youthful smiles for patients whose natural teeth require replacement. No matter how well you care for your teeth, you may still be suffering from gum disease. Painless and slow-growing, gum disease is still a serious condition that sometimes requires aggressive treatment.